In this scenario you have a custom entity called Training Course which has an N:N relationship with the Contact entity. It basically records each time a contact attends a training course. You need to implement a business rule that populates a field called 'Last Training Course' each time a contact attends a training course. 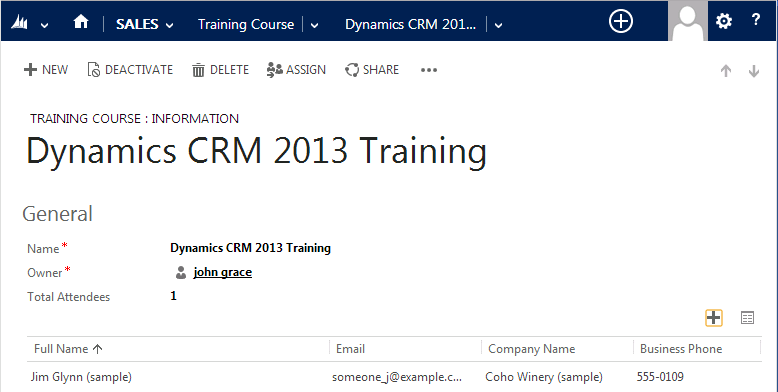 The screenshot below shows the Last Training Course field on the contact entity. The screenshot below shows the training course entity and show the many to many (N:N) relationship to the contact entity. 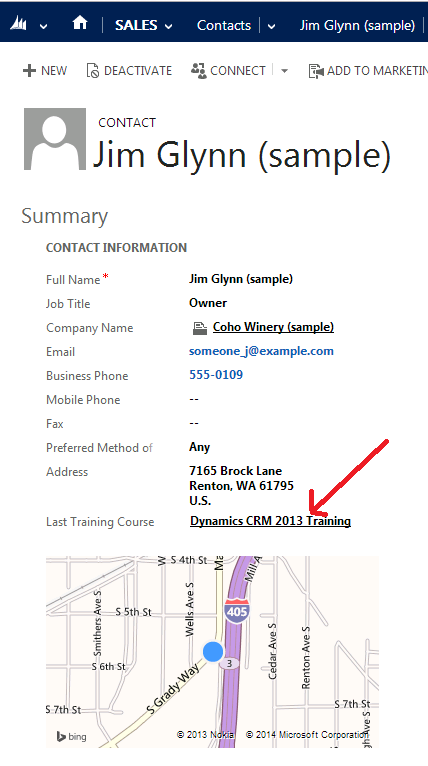 We create a formula that can hook into the Associate & Disassociate events within Dynamics CRM. So it executes whenever a many to many relationship gets created or removed.